Ghettoisation and Disturbed Areas Act are dividing urban spaces in Gujarat, pushing Muslims to the edge. In the current debates on the place of Muslims in Indian society, a key dimension has remained unexplored: What is their physical place? Where do they live? This question has become topical given the accusation of “land jihad” that has emerged in different parts of the country and the attempts to drive Muslims out of mixed areas or to prevent them from settling down in Hindu majority localities. The issue has been particularly sensitive in Gujarat. Recent tensions in Paldi, an affluent locality of Hindus and Jains with some Muslim-dominated parts in Ahmedabad, shed fresh light on the faultlines of urban Gujarat. The issue involves a land re-development scheme owned mostly by Muslims which was protested against by the local Hindu and Jain residents. Finally, the collectorate office has withdrawn permission to the scheme. Such accusations of “land jihad” are a continuation of the campaign in the run-up to the 2017 elections when posters urging the need to “stop Paldi from becoming another Juhapura” had come up. Juhapura is a Muslim ghetto on the outskirts of Ahmedabad. At that time, a GPS-tracking system of garbage collection by the Ahmedabad Municipal Corporation marking societies in Paldi with a cross had led to panic among Muslims, reminding them of 2002. At the crux of this recent controversy is a three-decade-old law called the Disturbed Areas Act, 1991. Applicable to major cities of Gujarat, this law was enacted in 1986 and replaced with a new act in 1991. Under it, the state government is empowered to declare riot-prone areas as “disturbed”. Property sale/transfer in such areas requires an additional permission from the collectorate office signifying free consent. The intention was noble: To stymie distress sale of properties and to prevent people from one community to sell their house/flat to someone from another community under duress. But in the laboratory of Hindutva that is Gujarat, Muslims have been allowed to sell their place to Hindus whereas the reverse has not been possible and the Act has become a tool to stop Muslims from mixing with others in major cities: They cannot expand in the pockets they still occupy in Ahmedabad and those who fled the city at the time of riots have not been allowed to come back. Section 3(1) of the Act allows the state government to declare an area disturbed where “public order […] was disturbed for a substantial period by reason of riot or violence of mob”. Not only does this emergency measure continue in peacetime, more than 15 years after the last major riot or mob violence in Gujarat, but the list of disturbed areas keeps expanding. In 2013, the Modi government declared roughly 40 per cent of Ahmedabad as “disturbed”. Quite recently, the Gujarat government classified new areas, where no riot ever took place, in Surat and Vadodara, as communally disturbed. In fact, BJP candidates canvassed on that basis, claiming that the coming of new Hindu-dominated localities under this law would bring them security. In 2009, when the Opposition was boycotting the legislative assembly, an amendment had been passed to the Act, enhancing powers granted to the district collectorate. The collectorate can now hold a suo moto inquiry and take temporary possession of the property. The then Revenue Minister of Gujarat, Anandiben Patel, explained that the new Act was supposed to help prevent ghettoisation. The exact opposite has been achieved. Ghettoisation and spatial segregation in urban of Gujarat is at its peak. 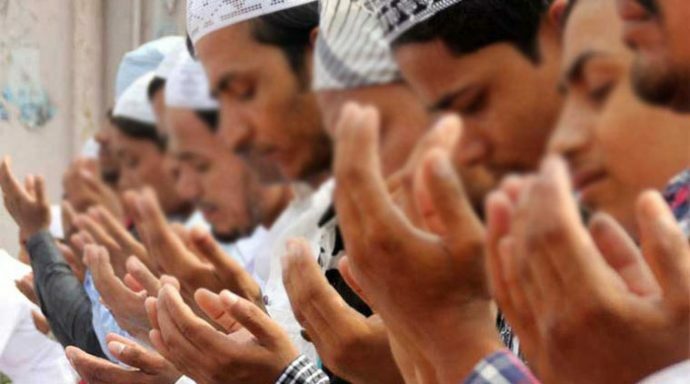 Ahmedabad has become the most segregated Indian city on Hindu-Muslim lines. Juhapura, an all-Muslim locality, often derided as the “Wagah of Ahmedabad” or “mini Pakistan”, is the quintessential example of this phenomenon. Like most other areas of Ahmedabad, Juhapura accommodated Hindus and Muslims when it was established in 1973 as a colony for Sabarmati river flood victims. Riot after riot, Hindus left and more Muslims fled for safety to Juhapura and could not return to their original homes, a process fueled by the Disturbed Areas Act. Currently, it is home to more than 3 lakh Muslims and Ahmedabad has more Muslims at its periphery than in the old city, their traditional home. Post-2002, elite Muslims — lawyers, professionals, doctors, people in business, judges, IAS-IPS officers — migrated to Juhapura as elite Muslim localities, including Paldi, were attacked for the first time. Juhapura has become a full-fledged ghetto with economic heterogeneity but ethnic homogeneity. Ghettoisation not only segregates people but also leads to neglect of basic public amenities. In Juhapura, the state is almost absent in education and healthcare. Private money bridges this gap in the form of activities by Muslim charitable institutions. Despite the inclusion of Juhapura in New West Zone of AMC in 2006 and linkage to a national and state highway, the quality of roads in the area is substandard. State apathy is added to the demonisation associated with Juhapura and other Muslim-dominated areas. The impact of ghettoisation due to riots and the Disturbed Areas Act is manifest in Gujarati society. Since Hindus and Muslims no longer live next-door, their children cannot meet daily or play together, limiting social relations. They are strangers to each other, a phenomenon that perpetuates myths about each other’s communities. Like children, adults also see worsening of relationships on communitarian lines: Bajrang Dal and VHP have painted walls of major educational institutes in various cities of Gujarat with warnings of “love jihad” for Hindu women. Howard Spodek in Ahmedabad: Shock City of Twentieth-Century India, senses this exacerbation of community relations from his five-decade-long engagement with Gujarat: “All — from the most devoted advocate of a composite society to the general secretary of the Vishwa Hindu Parishad — have agreed that this perception of the decline in personal relationships across religious lines is accurate”. After the recent controversy in Paldi, posters urging “Hindus to unite” and to “strictly implement the Disturbed Areas Act” have been posted on various Hindu and Jain dominated housing societies by an outfit called Nagrik Sewa Samiti. Meanwhile, Chief Minister Vijay Rupani called a high-level meeting to order the District Collectorate office to plug loopholes in the Disturbed Areas Act and to strictly implement the law. This state action coupled with the narrative of “land jihad” will ensure that ghettoisation in urban Gujarat remains a work in progress — like elsewhere, but seen to a lesser degree in the rest of West and North India. Jaffrelot is senior research fellow at CERI-Sciences Po/CNRS, Paris, professor of Indian Politics and Sociology at King’s India Institute, London. Laliwala is an independent scholar on politics and history of Gujarat.